(4x) Fast USB 3.0 Ports (5) USB 2.0 Ports. PS/2. 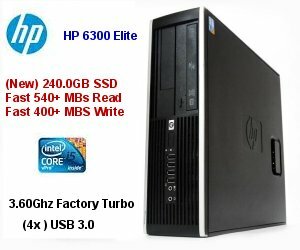 The HP 6300 Elite is a well designed platform ideal for all Office & Home enviroments. Includes Brand New Fast SSD/Solid State Drive, and USB 3.0 Ports.